This project was created as part of a project for an AI class in school. It focused on implementing A* Pathfinding using an existing pathfinding library into the game development framework Phaser. 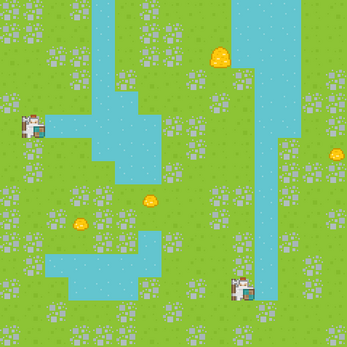 Left click the map to place a gold pile that the adventurers will path towards. Clicking on an existing pile will make it larger. The adventurers prefer larger piles of gold to smaller ones. 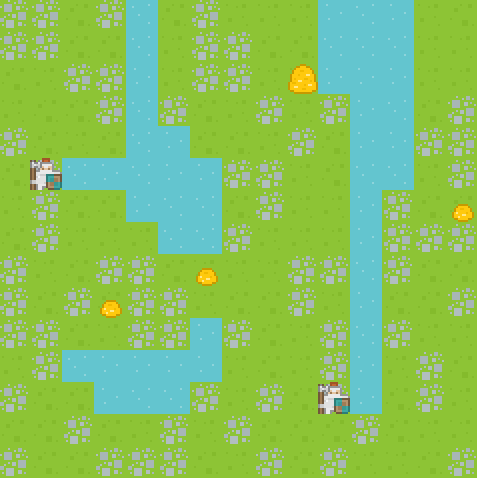 Right clicking on the map will change a tile from grass to water or back again. The adventurers cannot swim for their armor is much too heavy.